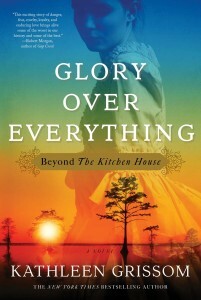 This post is dedicated to the readers and book clubbers who spread the word about The Kitchen House, Kathleen Grissom’s heart-wrenching historical fiction debut depicting the inhuman abuses of slavery and the complexity of racial relationships on a southern Virginia plantation in antebellum South, defying the odds by becoming a bestseller 2 ½ years after its 2010 publication (my review). For all who clamored for a sequel, Glory Over Everything arrives next week! Again, it tears at your heart continuing to pound big emotional themes about a horrific period in American history. 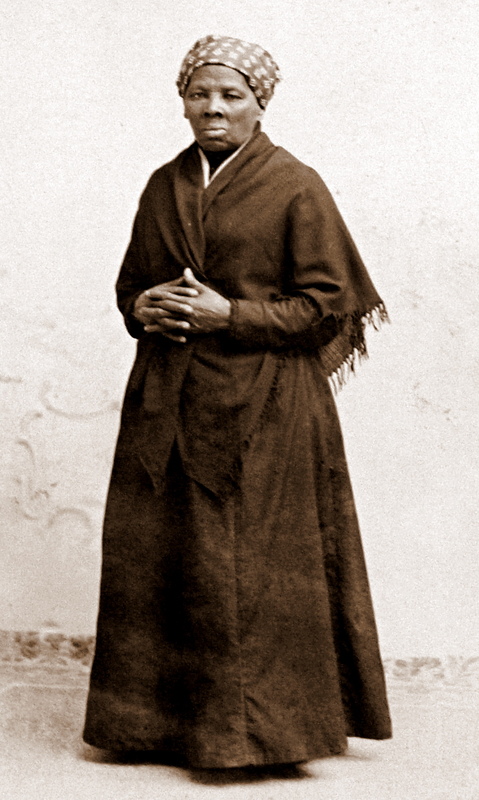 From the opening quote by Harriet Tubman (from which the beautiful title is drawn) — the famed slave synonymous with the Underground Railroad – the new novel is glorious for its artful rendering of fictional characters who rose up to overcome. The novel’s power doesn’t come from what the brutal characters do to the noble ones — cruel abuses of slavery on so many dimensions. Rather, its strength lies in the brave and decent characters whose courage and dignity warms our hearts and gives us hope. Surely hope is badly needed this political season as we see how deeply racially divided our country still is. Could the timing of the sequel be more relevant? Second acts can disappoint. Not here! In fact, like editor Trish Todd wrote in her note to readers, I too think the sequel “surpasses” its predecessor. One reason: Grissom excels at creating convincing characters through authentic dialogue. The four main ones are: Jamie, Pan, Caroline, and Sukey. They come to us in their four voices, with chapters structured and titled by their names and dates. Chapter 1 opens in Jamie’s voice in 1830, then moves back and forth among voices and time to unfold character backstories. This approach gets us inside their heads, into their shame, losses, angst, and attachments to the past. (Jamie’s and Sukey’s linked to the first novel.) Each voice speaks to us in dialogue that hits the right tone, befits the character. Measured, not overly flowery, adeptly punctuated with historical detail. This means sophisticated, thirty-three-year-old Jamie, who “learned to hide uncertainty under the cover of sophistication,” speaks to us in a dignified manner, prose fitting a bona fide member of Philadelphia’s high-society. Which he is not. The same holds true for the prose of lovely Caroline, nine years younger, delicate and accepting of her true aristocratic self and destiny: a loveless, arranged marriage expected of the upper-class. Caroline is lily white, Jamie’s bi-racial, which sets up a key tension in the novel. The other centers on a black boy named Pan who, like Sukey, speaks in a dialect of broken vernacular English tenses. Remarkably, their words flow easily. Pan’s plight, along with Caroline’s and Jamie’s, drive the suspense. Contrasted with the formal and gentle prose and the broken English is the harsh “n” word which invades the plot. It cannot be avoided, regrettably, if the fiction is to sear real. Which it does. For those who read The Kitchen House a while ago (or prefer to start with this novel), be assured Grissom provides sufficient backstory, repeated, to bring you up to speed. Still, a little refresher: Jamie discovered his bi-racial roots toward the end of book one, committed a crime related to it, and then ran away North for freedom. Since Jamie looks white, he handily assumed a new identity but he spends the rest of the novel dreading his falsehood. So when we now meet him, he’s Jamie Burton. We’re told he was thirteen when he fled to Philly, where he met an escaped slave, Henry, who saved his life. It’s too dangerous for the two to be seen together, so in twenty years they’ve seen each other only twice. First, fifteen years later, when Henry sought Jamie out to watch over his seven-year-old son, Pan. He did, indebted to Henry. Over the next five years, Jamie grows to delight in Pan’s sweet innocence, curiosity, and compassionate heart. Pan is too good and too understanding for his tender years and bleak upbringing (nursed his Mama who died; tells Jamie “I never have shoes before;” and is amazed “we gon’ eat again?”). The year 1830 represents the twenty year mark, when Henry arrives through the back door of the respected home of Mr. and Mrs. Burton where Jamie resides. He beseeches Jamie to return South because Pan is gone, fearing he was sold into slavery. Short, brisk chapters quickly bring us to the second plotline: the secreted affair between married Caroline and Jamie, complicated further by Jamie’s not confiding his ancestry with her. The southern road ahead for Jamie is palpably dangerous. For one thing, despite his whiteness, Jamie stands out. Born with the use of only one eye, he wears an eye patch. Not all is gloom and doom. There are tales of kindness and love, and a wonderful thread of artistic and natural aesthetics. A few examples: Jamie’s apprenticeship as a master silversmith and skilled painter of miniature birds using the pinfeathers of a woodcock instead of a larger sable brush; the familial affection of the Burtons for Jamie (Mr. Burton owns the silver shop); the steadfast devotion and friendship of Robert, Jamie’s manservant; and the forbidden passion of Caroline and Jamie. 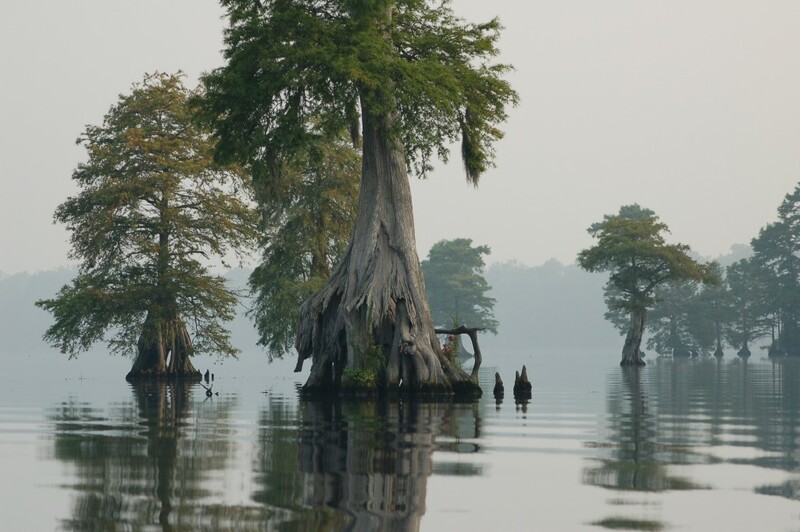 There’s also the charm of Jamie’s ornithological visits to Philadelphia’s former Peale Museum and Bartram’s botanical gardens; a talkative cockatoo with brilliant colors; the lush greenery of Virginia; the eerily scenic Great Dismal Swamp; a tough, independent-minded, sixteen-year-old young lady, Addy; an abolitionist Quaker family; and a life-saving goat. These elements lighten the heavy heartedness of what befalls the characters once Jamie returns to the South. Chief among them is poor Sukey, now a slave. Last we knew her, she was a girl living in the big house with Miss Lavenia (the Irish immigrant of The Kitchen House), both of whom cared for the matriarch, Martha Pyke. Sukey’s nursing skills and ability to read and write serve her well at first in her transformed life as a slave. Her fate changes, worsens dramatically. That drama, absorbing much of the ending, will send chills up your spine. You may also shed tears, moved by incredible bravery. Again, Grissom’s novel raises many issues, many questions. Again, perfect for book clubs. The first one that came to my mind: Can we ever escape our past? I can’t wait to read this book. I’m glad you finally found something worth blogging about. I’m sending you a big hug. Thank you for this wonderful post. As with THE KITCHEN HOUSE, you’ve gone above and beyond! I’m tickled you wrote and that you’re pleased! 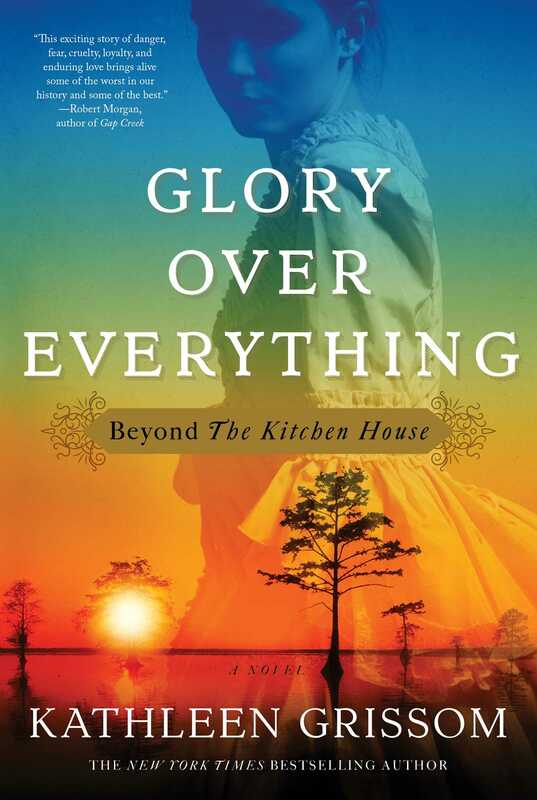 So glad I only blog about books I love because I loved GLORY OVER EVERYTHING. So will all your readers. I am glad to have read your post, Lorraine. I hadn’t heard about THE KITCHEN HOUSE. How has this wonderful book escaped my radar until now? I’ll plan to read this one first and then pick up GLORY OVER EVERYTHING. Thank you for sharing these wonderful books. You will not be disappointed. Costco recently chose THE KITCHEN HOUSE for its monthly featured book, which is interesting since it was published in 2010. So, you’re not too late! Have a great weekend.